The plot revolves around a Liftman's son Raju Tawade who is pursuing Engineering but due to some family problems has to take up his father's job where he meets Maureen D'Souza a widowed lady who changes his life forever. We see an amazing tale which gives us life lessons along with entertaining us. 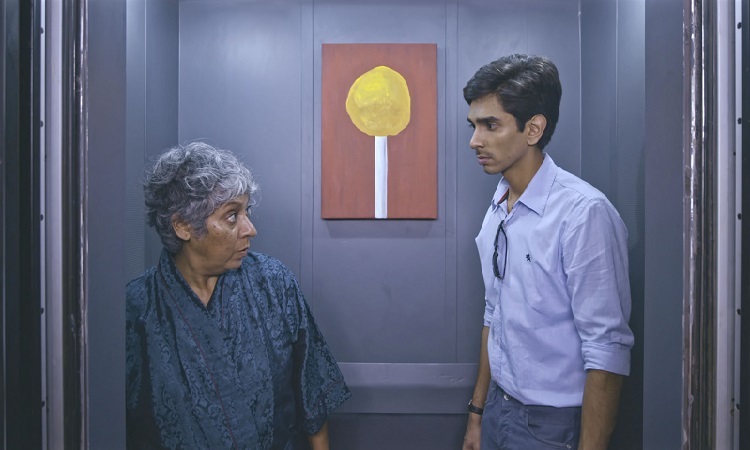 'Liftboy' is a simple yet a great story which can relate to everyone's life. A type of 'middle cinema' which we must have last seen in Hrishikesh Mukherjee or Basu Chatterjee movies. Moin Khan who is playing the 'Liftboy' has brilliantly essayed his role. Sagar Kale whom we must have seen doing some small roles in films and TVs perfectly portrays a middle-class father. Nyla Masood who plays Maureen D'Souza is a non-actor yet she is the best character of the film and you will love her performance. A film which has fewer characters but every character has a speciality and they will keep you engaged with their amazing performances. The film 'Liftboy' proves that you don't need to have big stars or a big budget to make a great film.